From Amazon "Octavio Paz has long been acknowledged as Mexico's foremost writer and critic. In this international classic, Paz has written one of the most enduring and powerful works ever created on Mexico and its people, character, and culture. 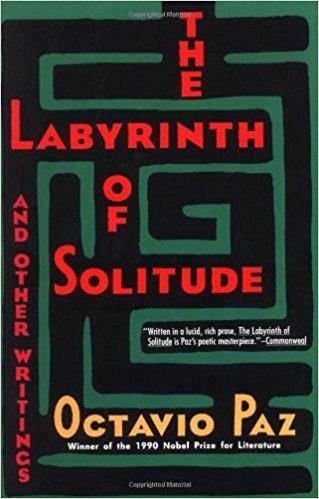 Compared to Ortega y Gasset's The Revolt of the Masses for its trenchant analysis, this collection contains his most famous work, "The Labyrinth of Solitude," a beautifully written and deeply felt discourse on Mexico's quest for identity that gives us an unequalled look at the country hidden behind "the mask." Also included are "The Other Mexico," "Return to the Labyrinth of Solitude," "Mexico and the United States," and "The Philanthropic Ogre," all of which develop the themes of the title essay and extend his penetrating commentary to the United States and Latin America." I loved this book so much that I have read it twice and I don't normally do so. If you can read spanish I suggest you to read it in its original language.